On September 27, the Artists of the South Okanagan-Similkameen return to Nk’Mip Cellars in Osoyoos with a fresh exhibition of fine art. The artists in this group are known for their excellent work in a range of media. There will surely be something there to catch your eye. 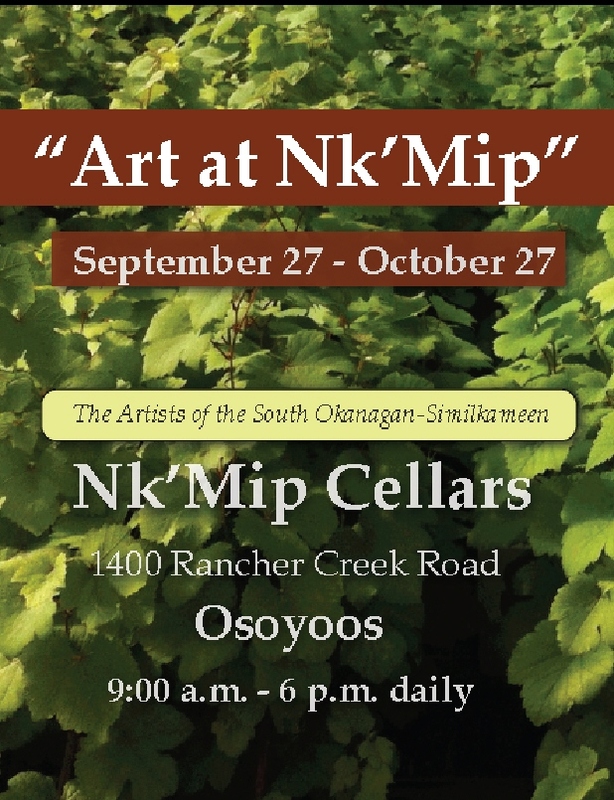 So with the lovely fall weather, and the spectacular location overlooking Osoyoos, you’ll want to plan to a trip to see this year’s “Art at Nk’Mip” Make a special date with art! The work will be on view throughout the Wine Festival and right on until October 27. So there is plenty of opportunity to visit this popular event, perhaps more than once!